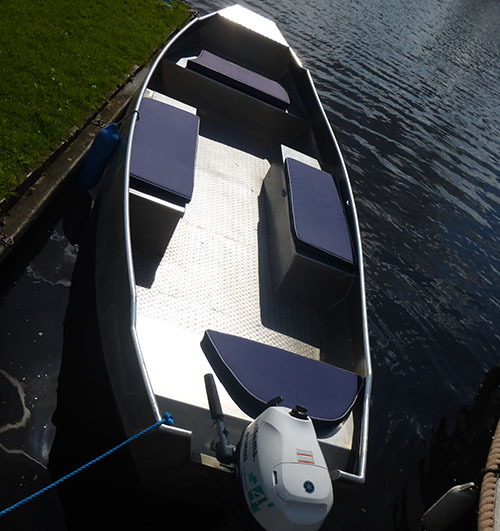 Are you searching for a tourboat with motor, then you have the following choice at our rentalbusiness: our spacious and comfortable sloops and our rowboats with outboard motor. With a sloop or a rowboat with outboardmotor you can easily cover the whole National Park in one day. It is also possible to make longer trips. It is our pleasure to advise you a nice route. You can make your boatreservation through the bookingsystem, but you may also give us a call or send an e-mail. 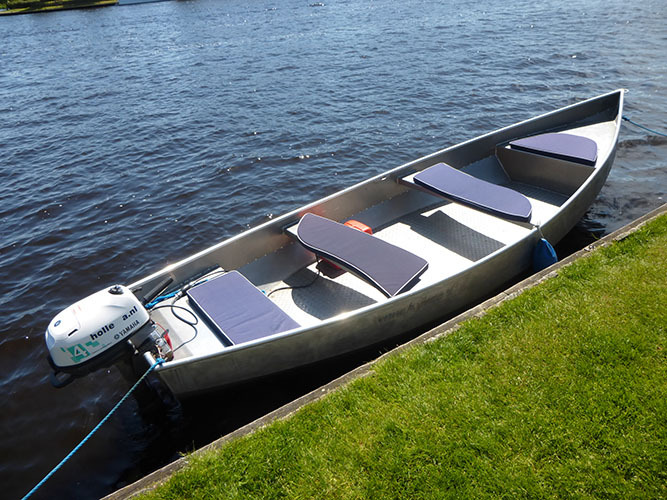 When there are no longer boats available in the bookingsystem at the day of your desire, then don't hesitate to ask if there's still one available. The availability in the bookingsystem isn't always correct. 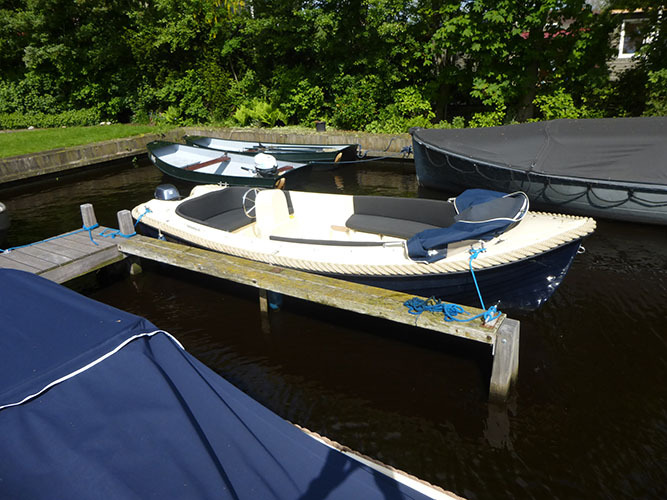 Did you rent a bungalow on Bungalowpark It Wiid and you want a boat near your bungalow for one or more days? 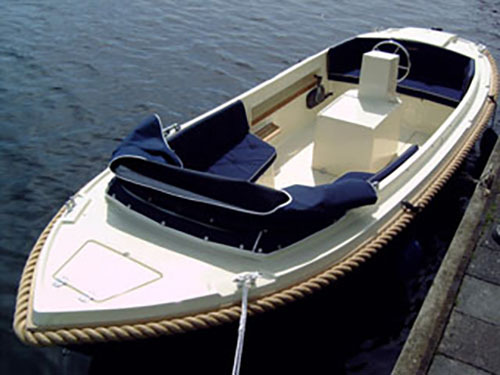 Then you can directly order a boat at our rentalbusiness. It is not necessary to make a boatreservation through your bungalowrentalcompany. 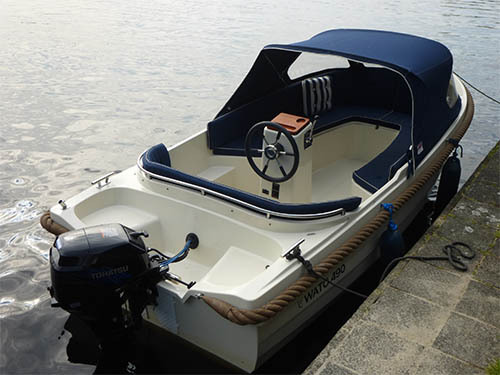 We can deliver the boat of your choice at your bungalow. Do you like a little comfort on board, then you’re probably searching for one of our sloops. 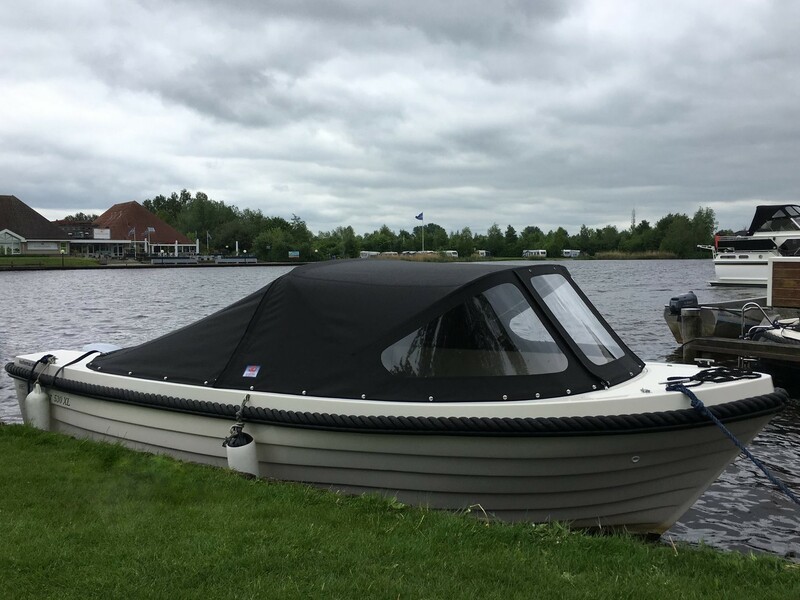 Our sloops are equipped with a sprayhood, which gives protection against rain and wind. Furthermore, you find cushions in our sloops and in all sloops there are special spaces to store your baggage. You can make a nice trip through National Park ‘De Alde Feanen’, but also a longer trip to villages like Warten, Wergea and Grou we recommend. We will offer you advise based on your desires. We do rent 10 Cleversloops 565 with steering wheel. In these sloops is place for 7 persons. 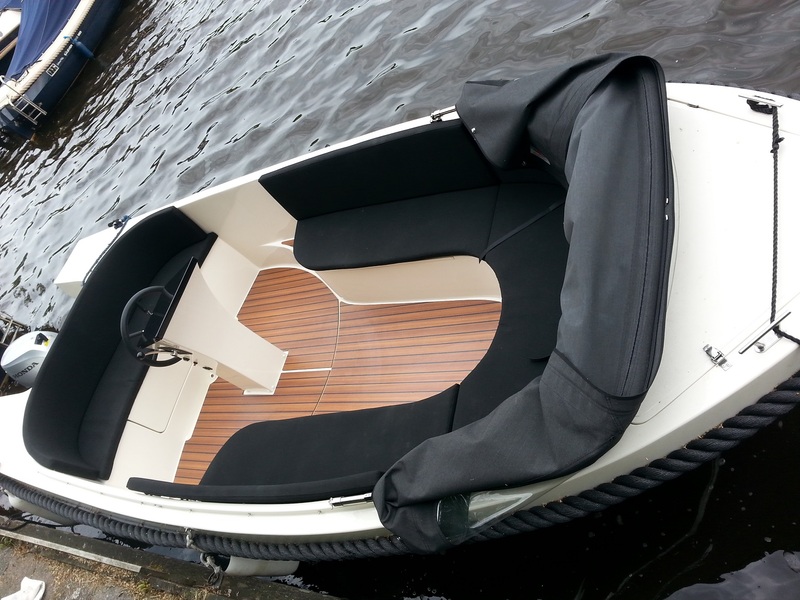 We rent 2 Reitdieper sloops 530 with a steering wheel. In these sloops is place for 6 till 7 persons. We have 1 Watosloop 490 with a steering wheel. In these sloop is place for 6 persons. 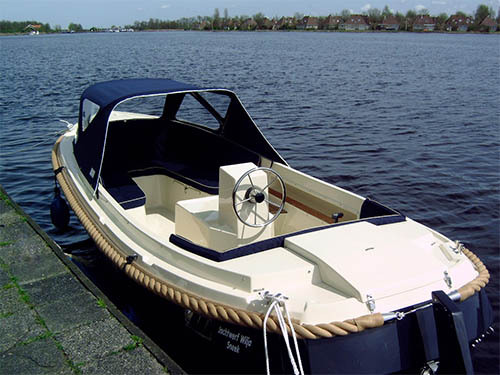 We also rent 2 Admiralsloops 650 with steering wheel. In these sloops is place for 10 till 12 persons. Pets are not allowed in these boats. Further we have one Corsivasloop 490, with steering wheel. In this sloop is place for about 5 persons. 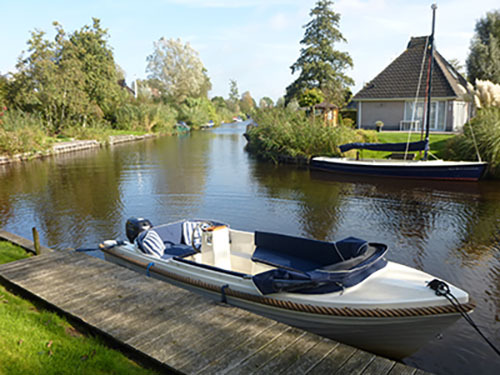 With the smallest boats you can enter the narrowest canals and hidden lakes of National Park ‘De Alde Feanen’. 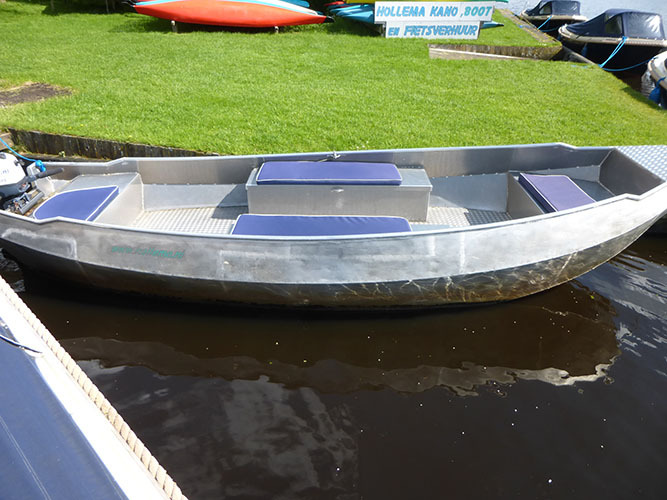 These boats are very suitable for exploring the nature, while you can also enter those parts of the National Park, which are closed for bigger boats. 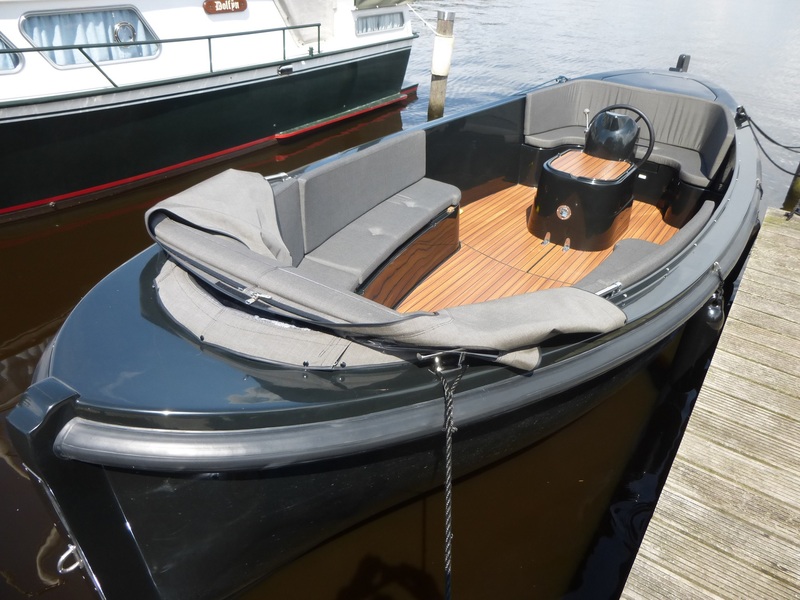 Our aluminium Hanzeschouw fits up to 8 people. 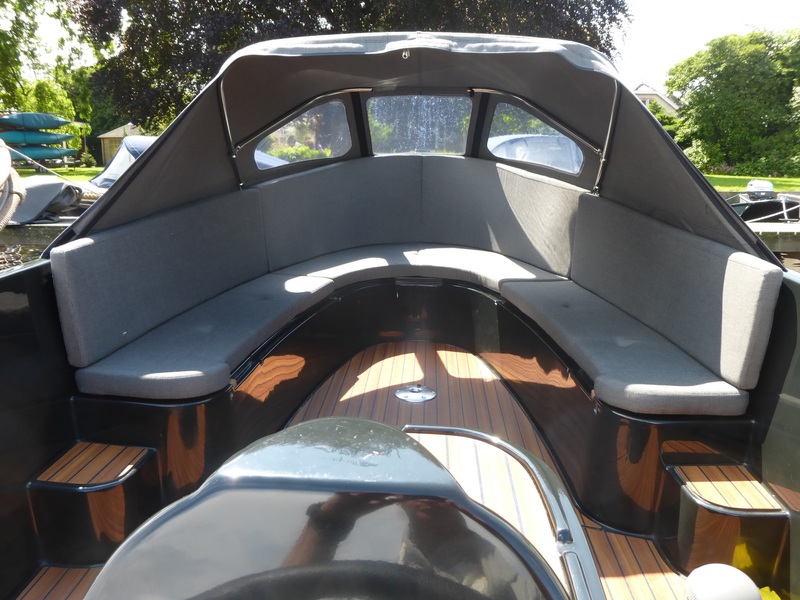 This boat is equipped with a 4 hp. 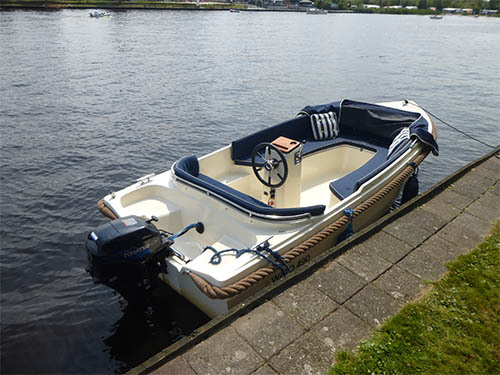 outboardmotor with a seperate petroltank. 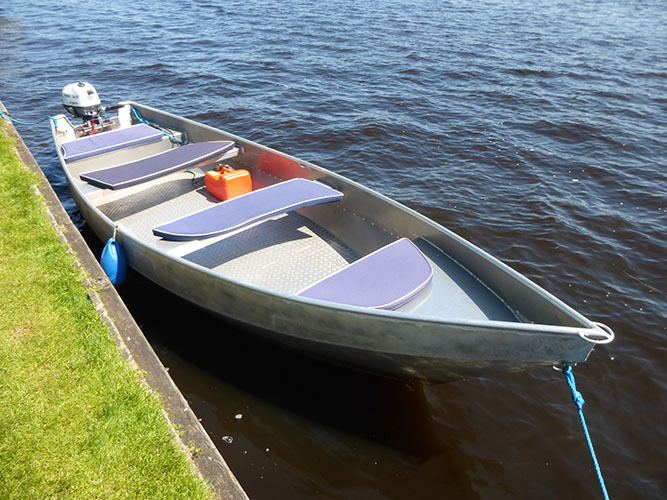 In these aluminium boats is place for about 6 people. As the Hanzeschouw, they are equipped with a 4 hp. 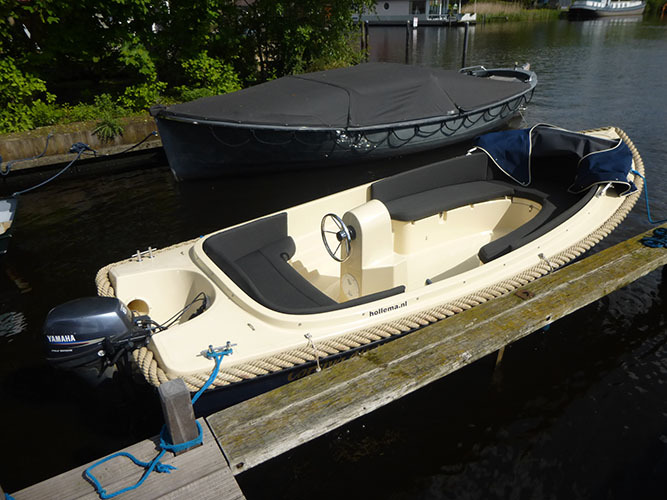 outboardmotor with a seperate petroltank.